Homeopathic College of East Anglia | Whats happening at the College this month? Our College > Latest News > Uncategorized > Whats happening at the College this month? November 2017 finds our new First Year group learning about a very special homeopathic book! The Homeopath Repertory is a very unique reference guide which helps the homeopath in practice to correctly prescribe the right remedy for each patient. Lots of interesting new remedies are also introduced this month as the students build upon their understanding from October of the introduction to the body systems to now explore the bones and structure of the body. 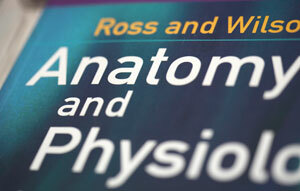 This month the Second Year students consider how a very important organ in the body functions – the skin. Learning how Homeopathy can naturally support the skin function and help to address all kinds of nasty irritating problems. The homeopathic treatment of acute illness is addressed and the students gain an understanding of the body’s immune response. Our Third Year group discovers how the Periodic Table impacts upon homeopathic prescribing. Observational skills within a clinical environment are considered leading to a better understanding of the patient needs. With lots of new remedies to encounter and an opportunity to review how the real live patients are responding to treatment within the Student Teaching Clinic it is a busy weekend for our Third Year students. Our Fourth Year students are now two months into their final year! This weekend is nevertheless a busy one for this group as they consider in depth movement, muscles, surgery and problems. Consideration and focus on how to start up in practice with an emphasis upon marketing and where best to base one’s practice. Another busy weekend for our students which always includes discovering more helpful homeopathic remedies for use in their practice as they progress onwards to becoming a fully registered homeopathic practitioner.